Welcome to the Potterspury Parish Council website. 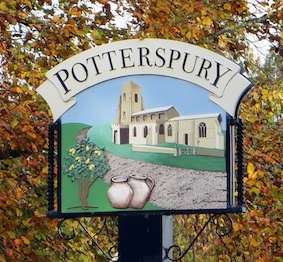 Here you will find information about various institutions and groups in the village, links to local services and information about Potterspury itself. This site is maintained by the Parish Council and minutes of the meetings are available here. They are also available to view at the Post Office on the High Street. If you need to contact the Parish Council, please email the Clerk, Mrs Jane Spence, clerk@potterspurypc.org.uk.